A passion for aircraft engines has bought Melbourne Professor Richard Sandberg to Australia. Professor Sandberg hasn’t strayed far from his childhood ambitions to be a pilot. The decision to pursue aerospace engineering at the University of Stuttgart in Germany was easy. He went on to complete his PhD in Aerospace Engineering in the US. Supercomputers were his tool of choice once he started investigating fluid flow with high-fidelity simulation. Today, he’s one of the most renowned academics in the space of high-fidelity computational fluid dynamics, which combines high-order accurate numerical methods and high-performance computing. This inquisitive mind also wants to help the world better understand turbulent flows and how they affect efficiency and noise generation in an industrial setting. Professor Sandberg’s enviable career highlights have also included work in numerical modelling and turbomachinery including aeroacoustics, flow and noise control, hybrid simulations and compressible flows. 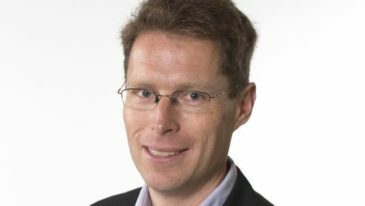 Professor Sandberg, who is the chair of Computational Mechanics in the Department of Mechanical Engineering at the University of Melbourne, was awarded a Veski innovation fellowship in 2015 entitled Impacting Industry by enabling a step-change in simulation fidelity for flow and noise problems. He was recruited by the University of Melbourne three years ago, relocating from the UK to Melbourne with his family. Prior to the move to Melbourne, Professor Sandberg was a Professor of Fluid Dynamics and Aeroacoustics in the Aerodynamics and Flight Mechanics research group at the University of Southampton. He also headed the UK turbulence Consortium, coordinating work packages for compressible flows and flow visualisations and databases. He heads up a number of research projects working to predict gas flows in turbine engines, translating the generated data to predictive models. His expertise is bringing interest and funding dollars into the University of Melbourne from around the world. His secret weapon to solve the complex equations that can describe turbulence has been some of the world’s fastest computers, which he uses to conduct research into the flow of gases in aircraft engine components, such as low-pressure and high-pressure turbines. In fact, supercomputers have enabled him to make advances in turbine technology that has been difficult to obtain in the past. “We rely on supercomputers because turbulence is a complicated problem,” he explains. The supercomputers he uses for research are up to 50 times faster than those currently available in Australia. Professor Sandberg uses around 100 million computer hours per hour. This is equivalent to using a desktop or laptop computer for about 3,000 years. 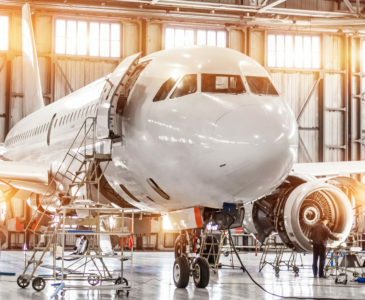 International interest in his research skills has come from the US Navy, General Electrical and Mitsubishi Heavy Industries, among others, each with a specific interest in turbulent flow and noise predictions. Australia’s continual investment in supercomputers is paramount to ensure it keeps pace with a range of other leading scientific research communities around the world, he says. His comments follow news that Perth’s Pawsey Supercomputing Centre and ANU’s National Computational Infrastructure facility scored $140 million in the 2018 Federal Budget. These funds will be used to support the work of Professor Sandberg and many other leading research projects underway in Australia. The Pawsey Supercomputing Centre helps advance medical research, nanotechnology, mining, construction and urban planning with high-speed calculations. It also supports research to maximise combustion in supersonic engines and model the physics of extreme waves to capture energy. “Australia is up against a number of other countries around the world who also bring a lot to the table in this space, so it’s also about finding your niche and demonstrating your capabilities,” he says. Aside from research, Professor Sandberg teaches at the University of Melbourne, giving him the ability to shape the thinking processes of the next generation of bright young engineering and scientific talent in Australia. He relishes the opportunity to shape the future generations of researchers here. “I don’t teach students what to think, but how to think, which means I can encourage students to better understand how they can solve problems with the latest high-performance computers,” he says.